This is my Quick Step Eligna Laminate review based on me installing it for one of my clients. Quick step flooring is by far one of the most trouble free laminates to work with. The ease at which the boards go together is amazing. The board is very forgiving. The end joint and the side joint can be tapped together laying flat with a tapping block. Quick steps locking system (Uniclic) is what makes this laminate the weekend warriors friend. 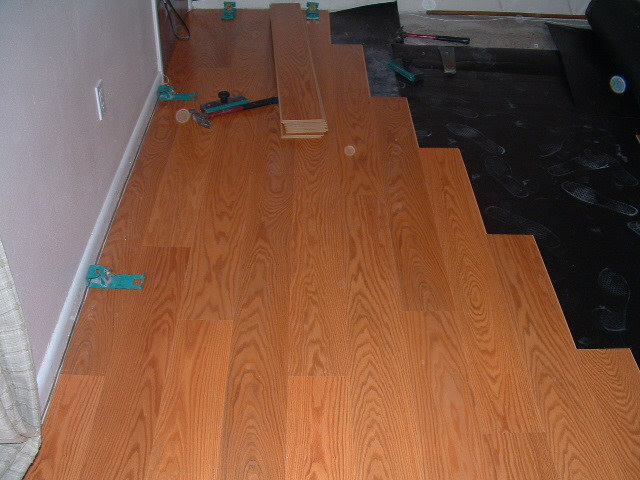 When the boards are locked together, the joints are smooth and flush. The core is strong and hard to break, this assures that you will not see many damaged boards. The machining is always very consistent. 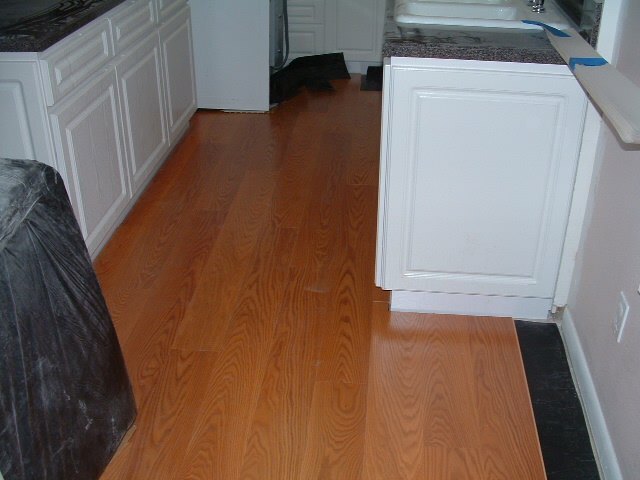 The overall look of the finished floor is excellent, I always tell my customers that this flooring makes me look good. Here in this photo is Quick step, Style: Eligna, single plank design (each plank resembles a solid piece of hardwood). It has an AC 4 rating for a durable surface that can handle the traffic. The warranty is 25 years residential and 5 years commercial. Eligna is available in about 20 different colors. One of their latest is White Brushed Pine, if you like the light color hardwood look. I have no problem recommending this laminate to anyone. The quality is always good, although the price is a little high. 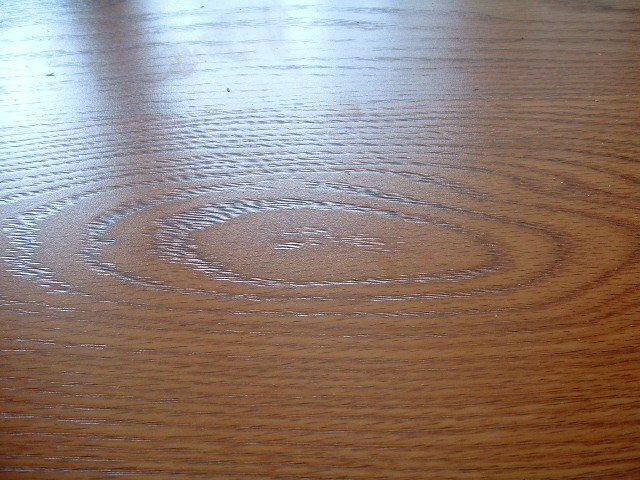 Here you can see how the wood grain texture resembles real hardwood flooring. 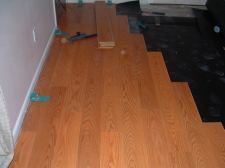 The Eligna laminate is also being installed in the kitchen.